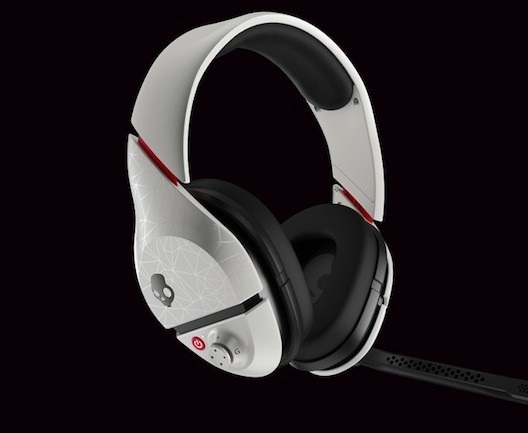 Giving you the option to Edit your own Aviator headphones isn’t the only news the fashionable folks at Skullcandy had up their sleeve for the end of 2012; with a bit of help from Astro Gaming (a recently acquired asset), it’s also taking another stab at gaming headsets. The company’s touting three new models: SLYR, PLYR 1 and PLYR 2, all of which were quietly detailed on its site within the last week. While Astro caters its full-on gaming audio systems (A30, A40 and A50) above the $200 mark, these Skullcandy-branded headsets essentially bring the ethos of those models to more wallet-friendly prices point of $80 to $180 — not to mention in closer competition with the likes of Turtle Beach and Tritton. Most notably, Astro was quick to highlight to us that Skullcandy’s new batch of gaming-focused earblasters have been created from the ground-up, unlike its models passed which were just tweaks to its existing — and less than well-received — headsets. 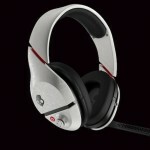 Curious for the initial details on these latest gaming audio aids? Lucky for you, we’ve got it all listed just past the break. Getting down to specifics, the currently available $80 SLYR serves as its entry-level set, netting you a wired stereo setup. The headset features a foldable boom mic, along with an inline remote for controlling the volume, balance of game audio voice chat and selecting from a trio of EQ. Lucky for games, music and movies (taking cues from the A50 and Mixamps). If you’re willing to part ways with $130 or — a slightly spendier — $180, you’ll be able to respectively pickup the PLYR 2 or 1 in the coming months. Both headsets are identical (save for color options), but that $50 premium on SLYR 2 notably snags you Dolby Headphone surround sound virtualization. If anything, we’d say they largely take cues from Astro’s portability-inclined A30, albeit with a design that’s streamlined with more curves — and dare we say it, sexier. On each, you’ll find a rotating boom mic on the left earcup, while the right cup houses a power button, EQ switch, mini-USB port and a volume / mix-balance control. Wireless connectivity is handled by puck which connects to your console much like the A50, but there’s no mention of Kleer audio processing this time. Lastly, all three models are naturally compatible with Xbox, PS3 and PCs, just like Astro’s offerings.